Mitsui High-tec President Yasunari Mitsui said his company chose Ontario due to its strong workforce and auto sector. Japan-based Mitsui High-tec opened a new $38 million Brantford, Ont., factory April 26 that specializes in making motor cores for electric and hybrid vehicles. The Government of Ontario gave Mitsui $2 million through the Jobs and Prosperity Fund for the project while Mitsui High-tec spent $36 million on the facility that will employ 48 people. The facility is Mitsui High-tec’s first in Canada. It uses the company’s advanced manufacturing techniques and has already secured several leading automakers as customers. Mitsui High-tec biggest customers are Honda, Toyota and Nissan. 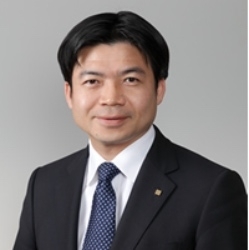 “We chose Ontario due to the strong workforce and auto sector here,” Mitsui High-tec President Yasunari Mitsui said in a statement. Ontario is one of the top jurisdictions in North America for vehicle production and the only sub-national jurisdiction to have five major global automotive assemblers: Fiat Chrysler Automobiles, Ford, General Motors, Honda and Toyota. Initially, the plant will export its motor cores to the United States with a long-term plan to grow the company’s market share with Ontario-based vehicle assembly plants as well, the CBC reported. Ontario Minister of Economic Development Brad Duguid attended the grand opening. According to the Brantford Expositor the 9,600-square-metre plant is just the first phase of development. Phase 2 is expected to start in a couple of years and will double the plant's size and workforce.